Pizza, CSH Staff & More! 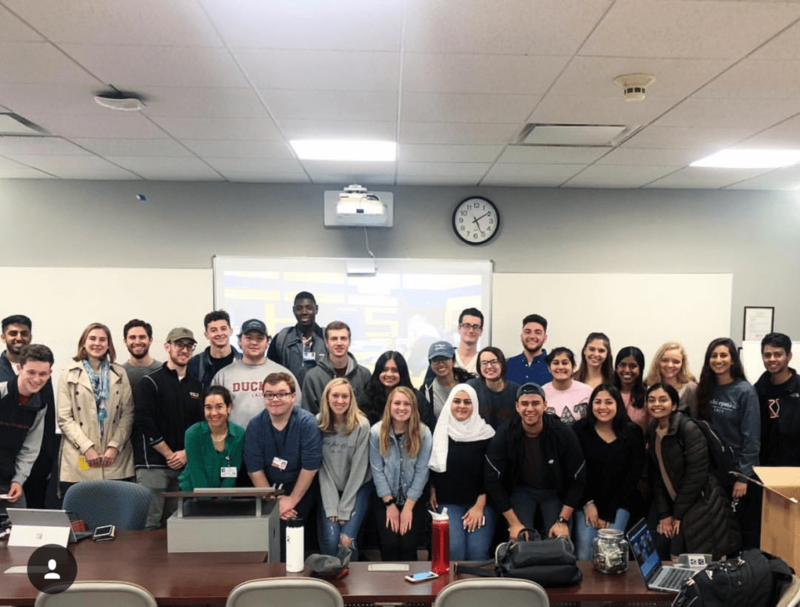 On February 28th, our Dance Marathon students at Stevens Institute of Technology, partnered with Alpha Epsilon Delta, a Health Pre-Professional Honor Society on campus, to help raise awareness for the incredible work that’s being done at Children’s Specialized Hospital! Along with their Hospital Director, Kayla Pagnani, 2 other very important CSH Staff Members joined the presentation to educate the room on Pediatric Physiatry. Special thank you to Children’s Specialized’s Outreach Coordinator, Alexis Cavallo and our Pediatric Physiatry Attending, Dr. Shoval, for volunteering your afternoons to speak to our students! Dr. Shoval shared her research, cases and miracle stories with the group, leaving each attendee feeling inspired to head to med school and possibly, a future in Pediatric Physiatry!